Sound for Resevic is by Phillip Corner, edited by Bob Eisen and Michael Caskey. 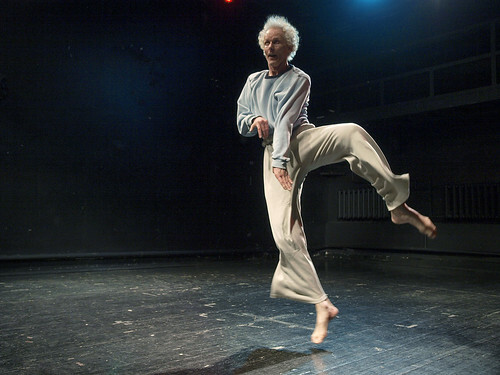 As a dancer, choreographer, and improviser, Bob Eisen has been active in the field of dance for going on 40 years. He was a co-founder and longtime co-manager of Links Hall Studio, a performance/workspace in Chicago, where for 20 plus years he was a prominent member of that city's performing arts community, receiving numerous awards and grants both for his artistic work and his contribution to the community. In the year 2000 he moved to New York City. For one full year, 2004-2005, he danced and traveled his way around the world. For the past ten years he has been living half the year in Russia, where he dances, teaches, travels, studies the language and lives; and half the year in America, where he continues to travel and perform, while still calling New York home. During this time, the focus on his work has been on short set solo pieces and more recently a series of duets and trios. Neil Goldberg makes video, photo, mixed media, and performance work that focuses on embodiment, sensing, mortality and the everyday. 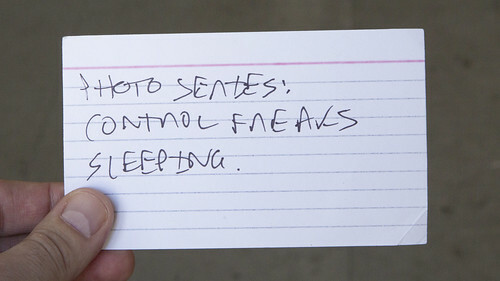 This work has been exhibited at venues including the Museum of Modern Art (permanent collection), the New Museum of Contemporary Art, the Museum of the City of New York, The Kitchen, the Hammer Museum, the Pacific Film Archive, NGBK Kunsthalle Berlin, and El Centro de Cultura Contemporània de Barcelona, among others. Goldberg’s work has been produced with fellowships from the John Simon Guggenheim Foundation, the New York State Council on the Arts, the Lower Manhattan Cultural Council, the Experimental Television Center, Harpo Foundation, CEC ArtsLink, Stillpoint Fund, Yaddo, and the MacDowell Colony. He teaches at the Yale School of Art and Parsons, was resident faculty at the Skowhegan School of Painting and Sculpture, and has served as a visiting artist at Cooper Union, the School of Visual Arts, New York University, the Rhode Island School of Design, the MIT Media Lab, and UCLA, among others. He is currently artist-in-residence at The Suburban in Walker’s Point.